From the kitchen of One Perfect Bite...My Chicago homies, at least those of a certain age, will remember Dressel's Whipped Cream Cake. 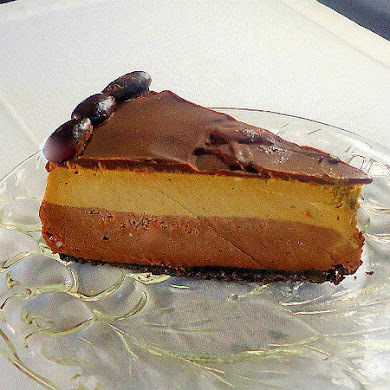 It was an uncommonly good dessert and one of the first quality cakes to appear in the freezer cases of local markets. It was, for good reason, enormously popular, and I'm not ashamed to admit that, frozen or not, it appeared more than once on my dinner table. I loved it and had it several times a year, but when we moved from Chicago to the East Coast, I learned that it was a regional product that had never made it to markets outside the Midwest. It was soon clear that if I wanted a whipped cream cake, I'd have to make it for myself. Fortunately, McCall's Cookbook came to my rescue with a recipe for what they called The Perfect Chocolate Cake. It was pretty aptly named. The cake was light and rich and made with cocoa, whipped cream and lots of chocolate. 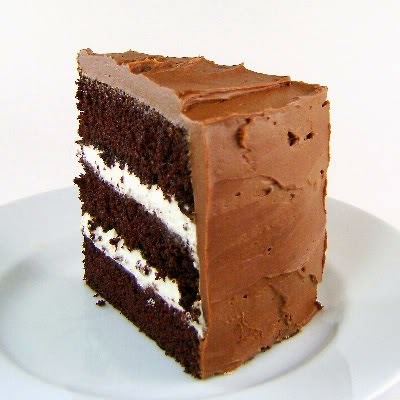 Purists could do away with the lovely chocolate icing and frost the layers with plain or cocoa flavored whipped cream and have a cake very much like the one that came from Dressel's bakery. I normally make this cake with whipped cream frosting, but the McCall's cake is so lovely I thought you'd like to see the cake the way its developers envisioned it. 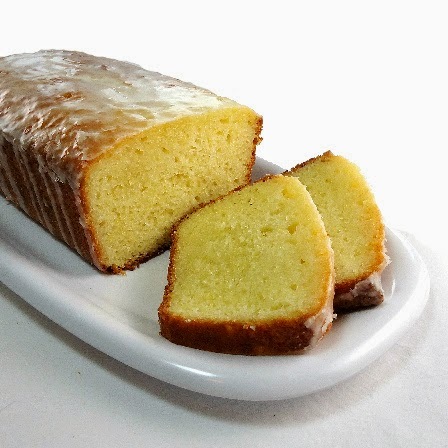 The cake is uncommonly good, and those of you who try it, will know how it got its name. Here's the recipe. 1) To make the cake: In medium bowl, combine cocoa with boiling water, mixing with wire whisk until smooth. Cool completely. Sift flour with soda, salt, and baking powder. Preheat oven to 350 F. Grease three 9 by 1-1/2 inch layer cake pans. Line with parchment paper. Grease paper and lightly flour pans. Set aside. In large bowl of electric mixer at high speed beat butter, sugar, eggs, and vanilla, scraping bowl occasionally, until light, about 5 minutes. At low speed, beat in flour mixture (in fourths), alternately with cocoa mixture (in thirds), beginning and ending with flour mixture. Do not overbeat. Divide evenly into pans; smooth top. Bake 25 to 30 minutes, or until surface springs back when gently pressed with fingertip. Cool in pans 10 minutes. Carefully loosen sides with spatula; remove from pans; cool on racks. 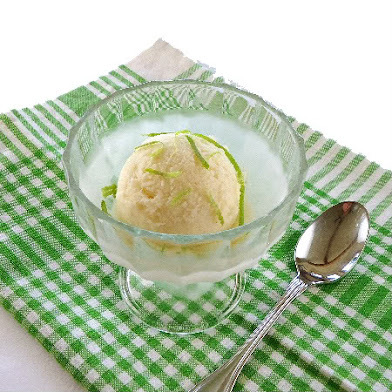 2) To make filling: Whip cream with sugar and vanilla; refrigerate. 3) To make frosting: In medium saucepan, combine chocolate pieces, cream, butter; stir over medium heat until smooth. Remove from heat. With whisk, blend in 2-1/2 cups confectioners; sugar. In bowl set over ice, beat until it holds shape. 4) To assemble and frost cake: On plate, place a layer, top side down; spread with half of cream. Place second layer, top side down; spread with rest of cream. Place third layer, top side up. With spatula, frost sides first, covering whipped cream; use rest of frosting on top, swirling decoratively. Refrigerate at least 1 hour before serving. To cut, use a thin edged sharp knife; slice with a sawing motion. Yield: 10 to 12 servings. Cook's Note: The cake should be refrigerated, but to prevent the frosting from cracking when cut, let the cake sit at room temperature for about 30 minutes before slicing. Thank you for your beautiful comments on my site. Your site is breath taking! I can aspire to your heights!! Thank you so much! What insight and beautiful pics you have! I like that you use a vanilla filling so that the cake isn't entirely chocolate. Sweet! Also, I don't remember that cake you mentioned. Is it still around now? And perfect it is! I would be happy even without the frosting but... why not! yum! Happy Chinese New Year of the Rabbit to you! Oh, my goodness! Mary I this cake is more than hell. Friendship! My mouth is literally watering!! Yumm, wat a delicious,elegant and super delicious cake..
You made it perfect Mary. The frosting the filling are simply outstanding. Great photos! oh Mary, this is indeed a perfect chocolate cake! It does look like a perfect chocolate cake -- as everyone needs a little black dress in their closet, everyone needs a perfect chocolate cake in their recipe box! 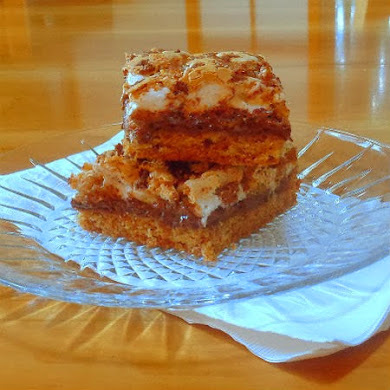 Have not seen this recipe in years; it was one of our favourite dessert; great photo Mary! This really looks perfect. It's tall, chocolaty... yummy! I was dreaming of layers of chocolate cake Mary, so this just affirms that I have to make one as soon as possible. Isn't it great when you can replicate something you love at home? This looks gorgeous! Love the filling! In the midst of the blizzard, I was on the computer ordering chocolate. Neither rain, snow nor dark of night will keep me and chocolate apart! This cake must have been before I arrived on the scene. I suppose I must try it out to see just how "perfect" it is. In the meantime, I hope the mail gets through with my order. I love it when you talk chocolate. That's what I'M talkin' about. Blessings. Beautiful cake! I love whipped cream filling. I am going to bookmark this cake for the next time I need a special chocolate cake. Maybe I can talk my oldest into this incredibly delicious looking cake for his birthday next week! My youngest son went to a party to celebrate The Chinese New Year for an exchange student staying with some of our best friends! It was alot of fun! Thanks for always posting such wonderful recipes! Have a great day! That really is one perfect chocolate cake! I love whipped cream (and any whipped icing) on cake. Actually, I could just eat whipped cream by the spoonful, but that's another story. I'm bookmarking this cake as a dessert idea for Valentine's Day. Beautiful cake Mary and incredible photos! I love the chocolate cakes made with cocoa and boiling water because they have such a fabulous moist texture. You're making me crave chocolate! Mary, thank you so much for your encouraging words. Today is court for the restraining order, so nervous. My gosh, one delicious recipe after another. Wish I felt up to making a cake! Soon! I'm making myself get out of this slump...one way or another. "all will be ok, all will be ok" my montage going on inside my head. I have died and gone to healthy eating plan hell!! I really, really, really would like a piece of that cake right about now, it looks totally amazing! That chocolate cake looks divine!!! Your cake looks spectacular! Thanks for a gorgeous post! Wow! So many yummy looking chocolate desserts. I'm definitely inspired to make one. I don't know how you do it- I'm neither a "cake person" or a "chocolate person," yet I'd want to try this. Maybe it's the baby talking, but I think it's just because this cake looks so pretty and perfect! Plus I LOVE whipped cream! I could take or leave chocolate cake, but that frosting looks absolutey perfect! I love the layers! It does look perfect! With its name...and your write up...how can we NOT try to make this cake! Mmm, Mary, this cake looks light as a feather! Even after a large snack of hot chocolate with whipped cream and Viennese cakes, I could still have a nice slice of this. I'm from the Midwest but have never heard of it--I'm definitely looking into it! That is the best looking cake I've seen in a long time. My watering mouth really wants a piece now!!! A delectable treat for the season of love..PERFECT indeed! A dear friend of mine who passed away a year ago would always make a special chocolate birthday cake with whipped cream between the layers for her children. I never ate it but I'm wondering if this was the one she was talking about. I'll have to make this in both of your honors. Beatiful photos! So far every recipe I have seen on your blog makes me want to make it and of course eat it! Thanks for stopping by my blog. I see you once lived in Illinos too. Happy cooking and baking! 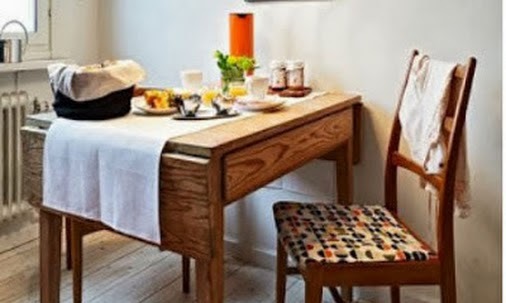 Mary, I've either been very unobservant or you have a new banner - such simplicity and lovely colours of your fork food. The chocolarte cake looks rather special too. WOW. 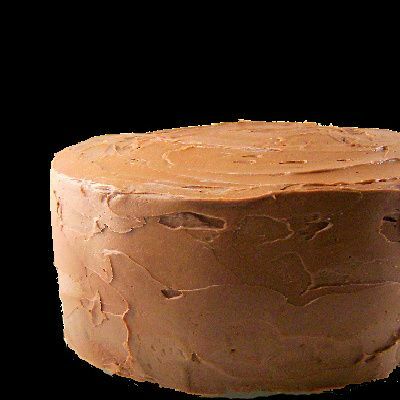 Your post reminded me of Drake's Cakes, which I adored throughout my New York Childhood. The cake is a must for our family, and I will definitely be making it soon. Thank you!! it is such a joy to come to your site everyday and feast my eyes on your beautiful pictures! this looks just incredible, i love the creamy filling! craving! that cake looks perfect and it's not easy to make a cake look perfect, I know because I've never been successful at it. Good job! FYI, Chinese Year of the Rabbit, Vietnamese Year of the Cat. OMG! I love you already and I just got here. I do have to go and drool some more. This reminds me of a cake that my grandmother used to make. I just attempted to make cakes from scratch and have done pretty good. I don't know if I will ever do a box again. I just checked and I have everything to make this yummy looking goodness. If you need me, I'm in the kitchen! Thank you for visiting and the words of encouragement. I keep hoping that it is going to get better, yet know it is useless! Oi vey! Your cake is stunning with the perfect layers and sounds SO delicious! No one. Noone. No one can make a cake like you look as gorgeous and delectable and as clean and lean as you do. Those people down the hill must love you. I would start to sell my wares if I was able to make them this often and this lovely. People would pay pay pay for one of your lovely labours of love. Oh Mary - that is indeed perfect. The combination of the cream with the chocolate makes me feel so wicked and heavenly at the same time. you're killing me with all these chocolate recipes! I would kill for some right now! thanks again! have a great night! Absolutely amazing looking! Love the vanilla too! There have definitely been VERY few cakes in my life that have involved whipped cream...tragically enough. This looks delicious though. A beautiful way to ring in the new year! This sounds delicious, I'm going to add it to my "Recipes I Want to Try" post on my blog. I'm always in search of THE perfect chocolate cake. I haven't found it yet. the cake is simply amazing. they should have this in chocolate heaven. Happy New Year! And yes...I can see why this cake got its name. I want to make this perfect concoction tomorrow. Thank you for sharing yet another delicious and beautiful recipe. I hope you have a fabulous Friday and a relaxing weekend! That is indeed very perfect! Not much I ca say here other than this cake does ineed look picture perfect. Your cake looks beautiful! Simply and nice! I love Valentine's Day desserts, and yours looks so, so delicious! You should really consider submitting this to Recipe4Living's Valentine's Day Recipe Contest! 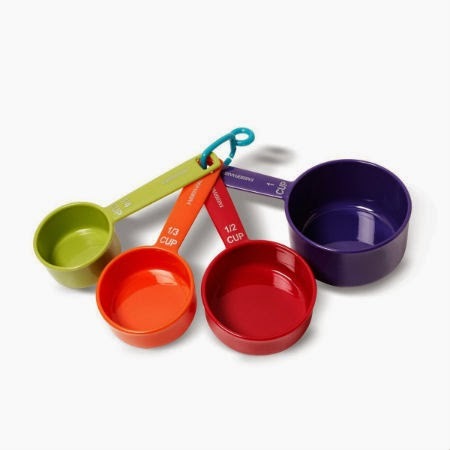 You could win a GreenPan Stainless Steel Todd's Perfect Gourmet Cook Set! I was just looking for a chocolate cake recipe. My niece wants one for her birthday. This looks great! I definitely understand why you picked "One Perfect Bite" as the name for your blog. THIS chocolate cake, and everything else, DOES look perfect! From your newest follower, Sue :) P.S. Thanks for your kind comment on my blog! This cake looks absolutely delicious! My daughter, who doesn't like chocolate said "Hmmm! That looks REALLY good!" I'm going to have to try this really soon! It reminds me of the tuxedo cake I've made on special occasions. Going to treat the family this weekend to your delicious creation. Thank you so much for stopping by my blog. You put a smile on my face! This looks amazing! I may try and make it this weekend! OMG Mary!! That cake is making my mouth water. Thanks for coming by to see me at cooking Underwriter. Your recipes have always amazed me! Thanks for sharing and stopping. wow! looks awesome! delicious frosting too with the added cream. This cake is a real beauty that stands tall and proud! Happy New Year to you! I have the recipe from the October 1982 McCalls magazine. This has been a favorite cake since then. Gosh, this chocolate cake actually looks PERFECT! Looks so scrumptious, I'd be happy to have a huge slice :D. Your recipes are so fantastic - please don't look through mine lol. I'm still just finding my way around the kitchen while you've got every recipe to perfection! At least you might find some amusement in my silly mistakes ;). Great photos too by the way! Mmmmmmmmmm, this cake looks AMAZING! I'm have a picnic next week and this will be perfect. I love the recipes you share! I just wanted to let you know how much I loved this cake...finally got a chance to bake it up and it came out tender and moist. I'm adding this to my favorite chocolate cake recipes. This is not a cake...is a dream!! Mary, You're right. That cake is perfect. And I'm sure it taste perfectly tasty. It is always a bit of a transition in food from city to city. I am impressed you have kept recipes from McCalls. I always get impatient with the stack of recipes I cut out, and throw them away. Not sure if you still see your comments on this "classic recipe" (that's what I call older posts). Anyway, I'm wondering if I could put this amount of batter into a 9x13 pan. I'd then cut it in half (width wise) and fill and frost. Would be much easier for me. What do you think? Too much batter? Too little batter? I love the look of the texture. 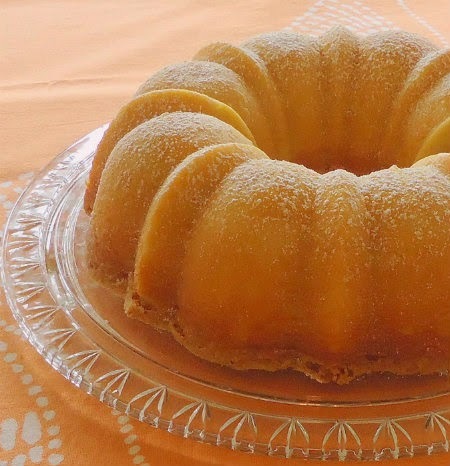 Have you any POUND CAKE recipes? You are the best. Thank you so much.